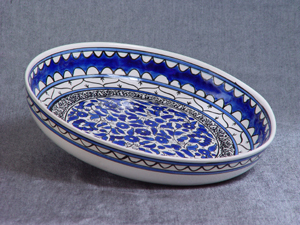 Handcrafted in Al-Khalil (Hebron) by Al Salam Glass & Pottery Factory using traditional methods. 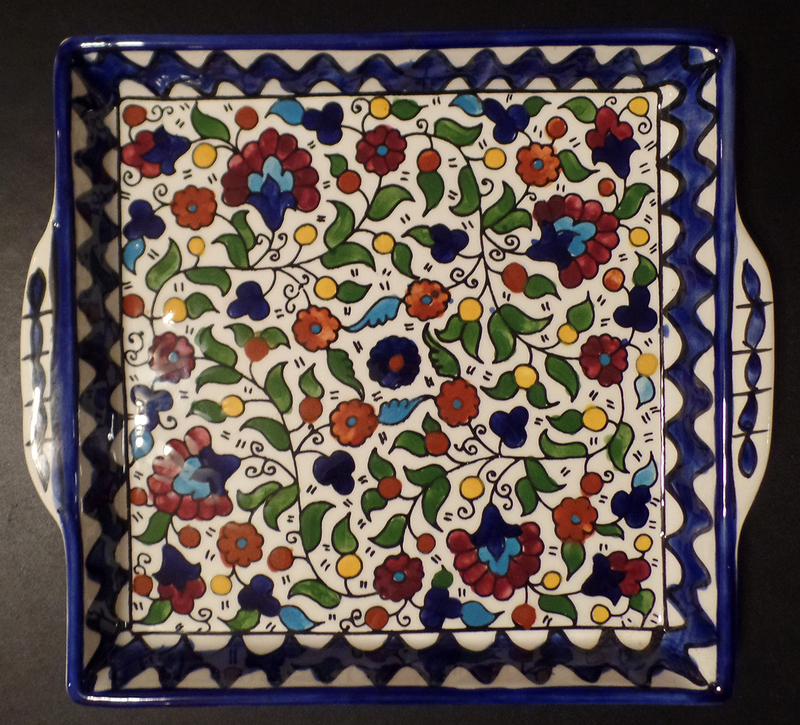 This beautiful square trays (approx. 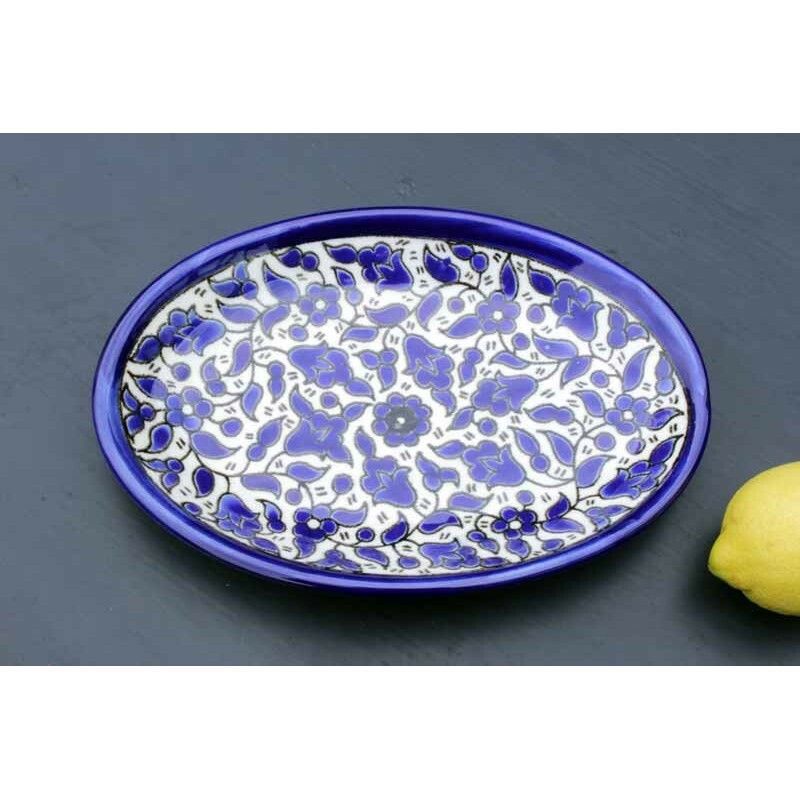 20 cm x 20 cm) is ideal for serving fruits, sweets, vegetable party platters, or as a decorative piece. 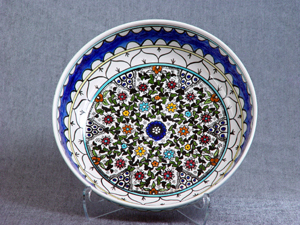 Handmade in Hebron using old traditional techniques. Dishwasher safe. Not for use in ovens or microwaves.